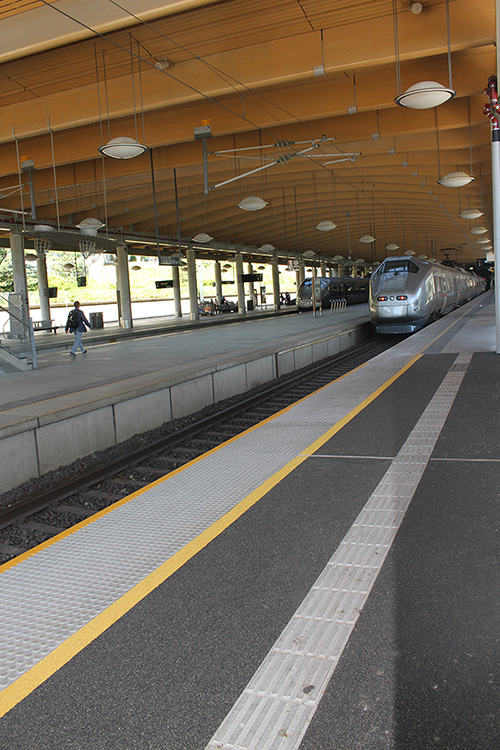 This summer we are installing Barrikade Steinbelegg for PEAB and National Rail at Gardermoen in connection with expansion and rehabilitation of the railway station at the main airport. 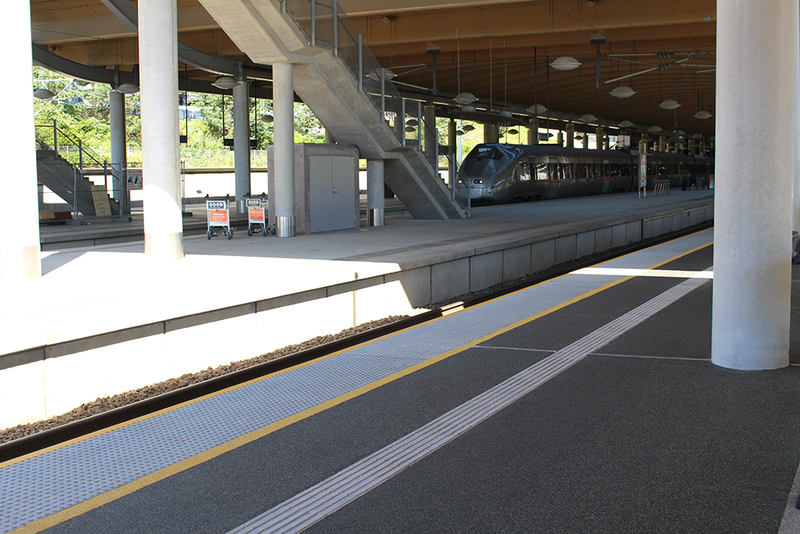 A combination of Lucern Silver and Larvikitt, which is alocal Norwegian aggregate, has ben chosen to distinguish between traffic zones and the railway platform itself. 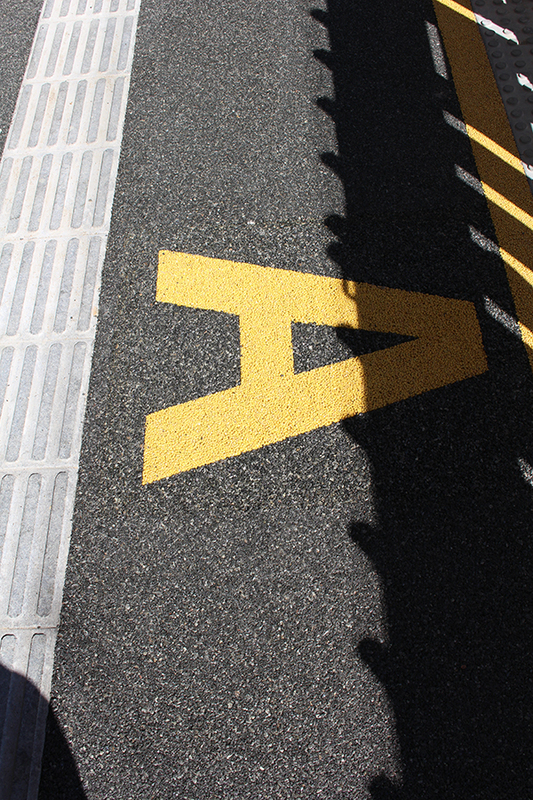 Leading lines and letters are established with colored yellow stones and a yellow binder. 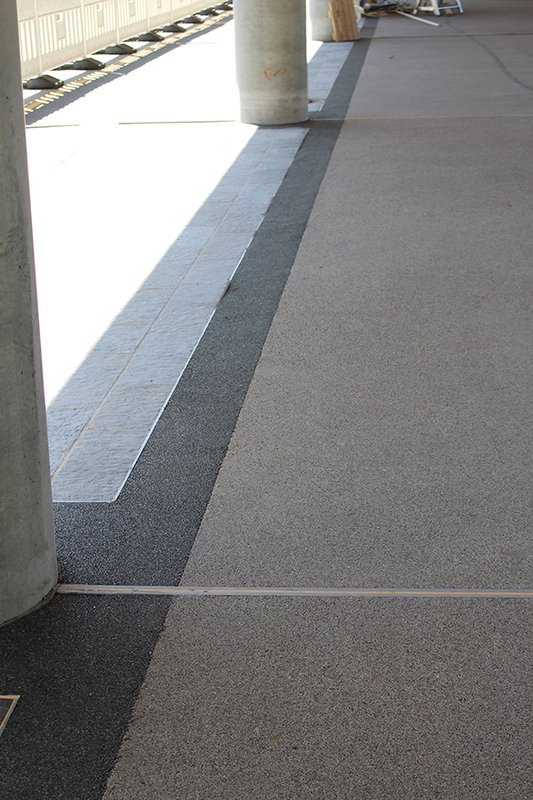 The aesthetically pleasing, seamless and functional solution is installed at two platforms with a total area of approximately 2,000 m2. Hesselberg Bygg AS is responsible for the contract while the installation work is performed by Malermester Walter P. Lislerud with assistance from Bas 2.